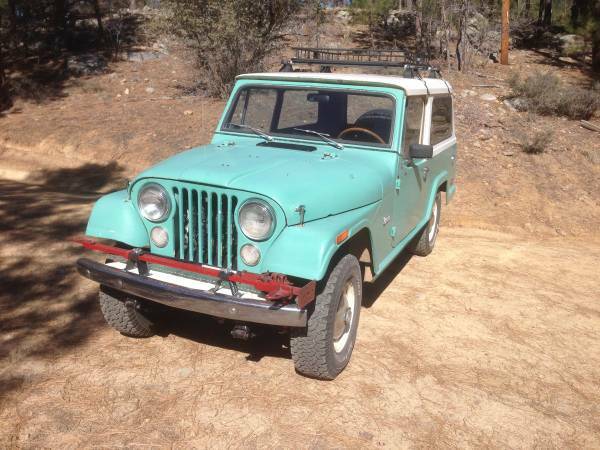 This Kaiser Jeepster is a American classic SUV made by Kaiser Jeep, intended to compete with the International Scout, Toyota Land Cruiser and Ford Bronco. 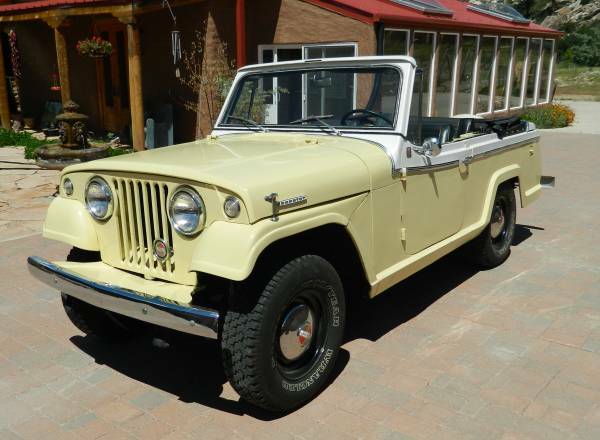 As the picture is a very nice example of the original Jeepster 1967 model year its come with convertible body style, 4WD drivetrain, runs and drives excellent condition looking for a new home. The pics as confirm, all looks perfect without any doubt, I think is a survivor car, is always in garage according 90K miles. Come to see it... is a must, if you seriously want to keeping it one of piece early modern SUV in earth.